In a shocker Sushma Swaraj announced today that she won’t be contesting the next general elections which is scheduled next year. She cited health reasons, Mrs Swaraj had undergone a Kidney transplant surgery in 2016. 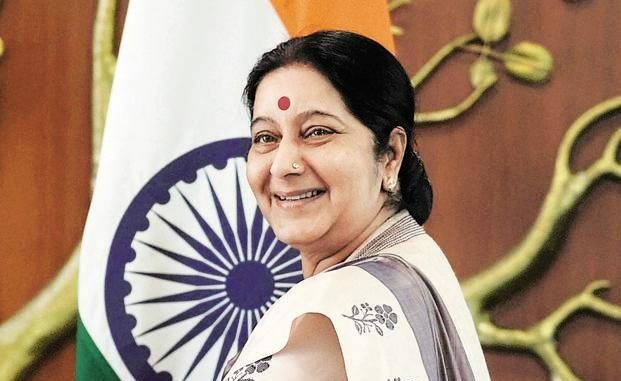 Sushma Swaraj is one of the tallest leader in the Bharatiya Janata Party (BJP). She was speculated to run for Prime Minister in 2014. Her chances gradually reduced as the Gujarat duo Amit Shah and Narendra Modi took over campaigning during the 2014 elections. She was included in Modi’s cabinet and was made External Affairs Minister. Sushma Swaraj has spent a long time in public office. From being a member of the Haryana Assembly at the age of 25, Delhi’s fifth Chief Minister in 1998, serving as a cabinet member in Atal Bihari Vajpayee’s government, leader of opposition in Lok Sabha 2009 and now again as a cabinet member. She has worked for decades and is a prominent face of the BJP. It would be tough for the Modi government to find her replacement as External Affairs Minister if BJP wins again in 2019.